Blondie, Devo and Duran Duran usher in the new wave with electronic sounds and pop hooks. In the stadiums, Foreigner, Van Halen and Journey forge a combination of power chords and sweet melodies that will soon be known as arena-rock. For those with dancing feet, Pop King Michael Jackson and Material Girl Madonna will get you into the groove. Deep in the heart of the city, Run DMC and LL Cool J combine fast-talking and slamming beats to create a sound that the kids call ‘rap music.’ Meanwhile, back in the suburbs, the malls are filled with the sounds of everything from the danceable teen-pop of Debbie Gibson and Tiffany to the pop-flavored guitar rock of Def Leppard. Outside the mainstream, Depeche Mode and The Cure bring an artsy, moody quality to pop, thereby paving the way for the rise of indie rock. 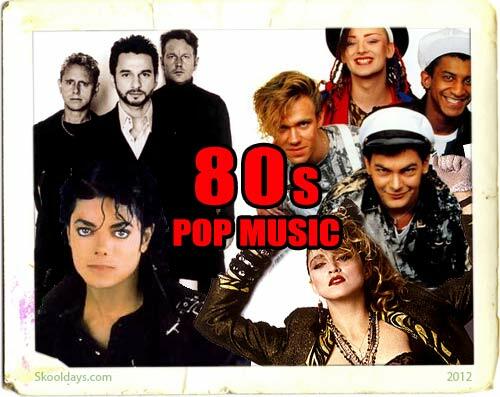 This entry was posted in PopMusic and tagged 1980 by Skooldays. Bookmark the permalink.